Peter's first wife was a Smith, and together they had a son named Henry. 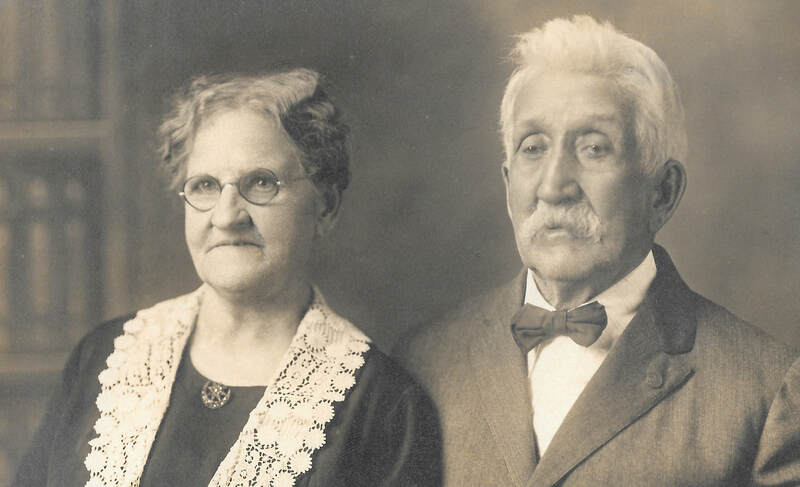 Henry Gold (1873-1937) married Wilhelmina (Minnie) Burow (1878-1946), daughter of Gottfried & Eliza Borow. 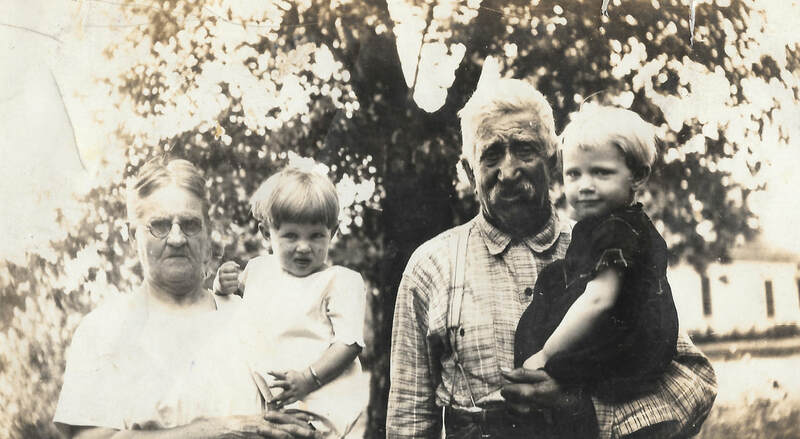 Henry & Minnie had two children, Orvin (1901-1981) and Carl. Orvin married Lorna Aylor (1902-2004). They had children Allen and Norris. Carl married _________, who had a son Carl (who went by Bud) by a prior marriage to a Mr. Bruner. 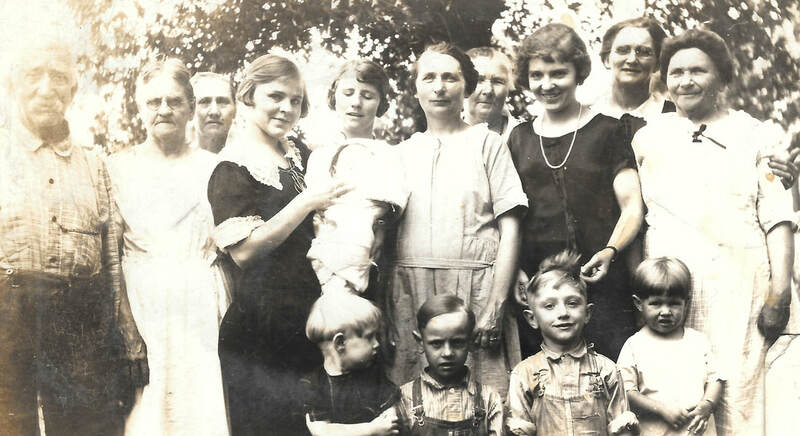 Carl and __________ had Erma; Verna, Berta (who went by Eloise); Betty; Barbara; and Larry. As of March 2019, Erma, Eloise, Betty, and Larry are still living. Peter later married Julia Avery Kinney. Julia had a son by a prior marriage, George Kinney. They also raised Goldie, a neighbor girl whose parents gave her up to their care. Goldie married Wes Binder. Photo 2921, Peter Gold with unidentified child, shared by Richard Binder. Peter & Julia Gold, Photo 2900, shared by Richard Binder. A long entry about Peter Gold is at pages 484-5 of the 1889 Portrait and Autobiographical Album of Johnson and Pawnee Counties, Nebraska. It provides much information about him, presumably direct from him. The August 12, 1927 Argus carried this obituary on the front page. 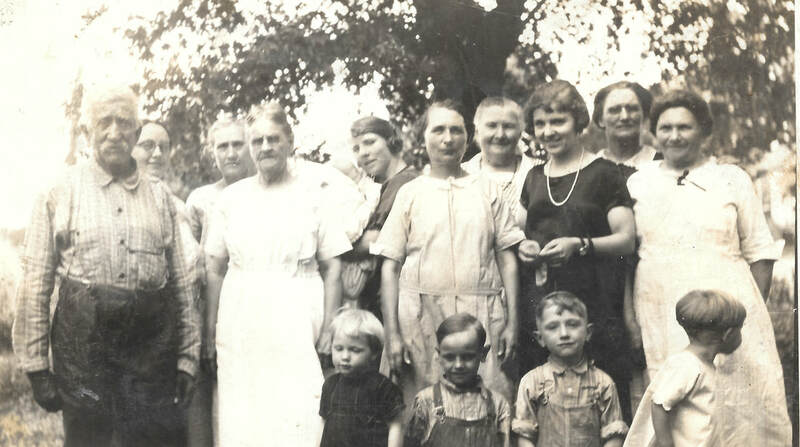 Appended to it was a note of thanks from the family, identified as Mrs. Peter Gold, Henry Gold and family, George Kinney and family, and Mrs. Wes Binder and family. “He was on the ground at the organization of School District No. [34?] and assisted in the erection of the school building. He was a man not only interested in education but also religious matters, assisting in the erection of the Methodist Church building in Table Rock and also the Presbyterian church of Table Rock and has been found willing to give a cheerful support to various projects having for their object the advancement of the people. He serve as Sunday School superintendent a number of years of the Blacklaw Sunday School in his neighborhood. He was a member of the German Lutheran Church. The obituary closes as follows: "In the death of Mr. Gold, the community loses an honorable and progressive citizen, one who loved his country, his state, and his community. In all his dealings with his fellow man he was just and upright. As a husband and father, he was tender and loving., just such a man as becomes a valuable citizen to any place, and had the esteem of all who knew him. 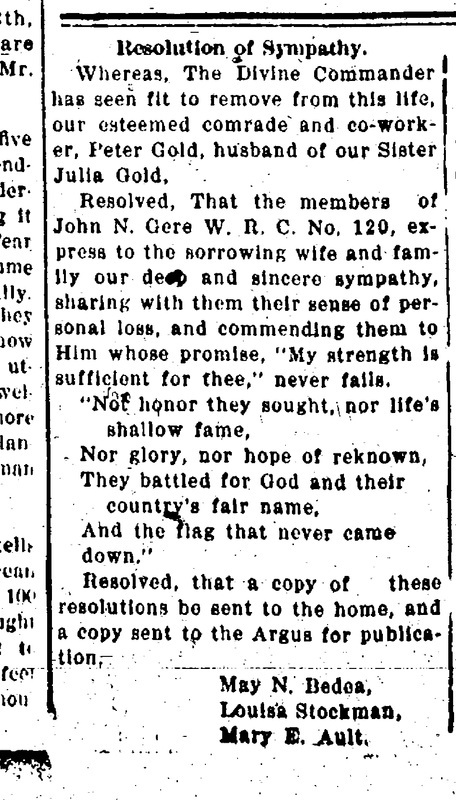 The same edition of the Argus (August 12, 1927) contained a "Resolution of Sympathy" from the W.R.C., i.e., the Women's Relief Corps, which was the Auxiliary of the Grand Army of the Republic. 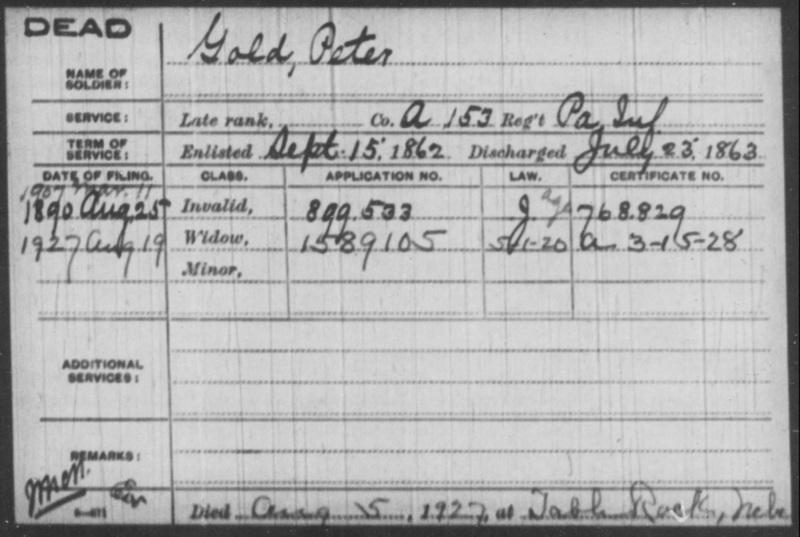 Quite a bit of history about Peter Gold is included in the FindaGrave.com memorial for him. It says, "Son of Jacob & Eva (Breidinger) Gold, he was first married before 1873, by the 1880 census it states he is divorced. 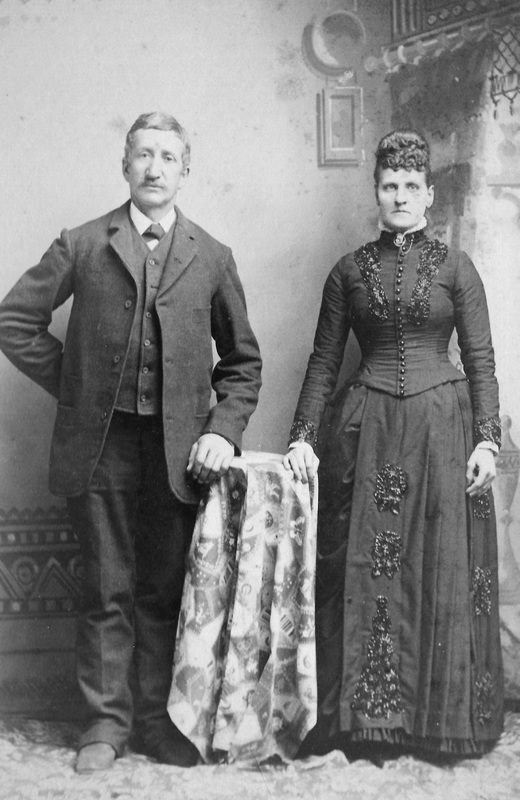 He was married a second time to Julia Avery on May 16, 1883 at Table Rock. He had one son Henry, from his first marriage. Enlisted on October 7, 1862 as a Private, Co., A, 153rd. Pennsylvania Infantry, mustered out on July 23, 1863." Peter Gold, 87, a veteran of the Civil War passed away yesturday after an illness of many months. He settled three miles northeast of Table Rock in 1868, which was his home until the day of his death. He was a member of John N. Gere Post, at this place, which at one time numbered sixty members. Mr. Gold's death leaves but four members in the organization. Funeral services were held at the M. E. Church here Sunday afternoon and the interment was in the Table Rock cemetery. 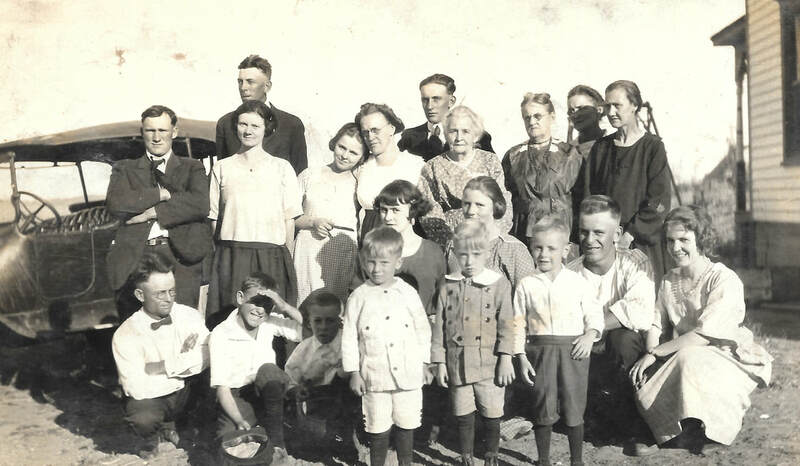 He is survived by his wife, and one son, Henry Gold of Table Rock and several grandchildren." 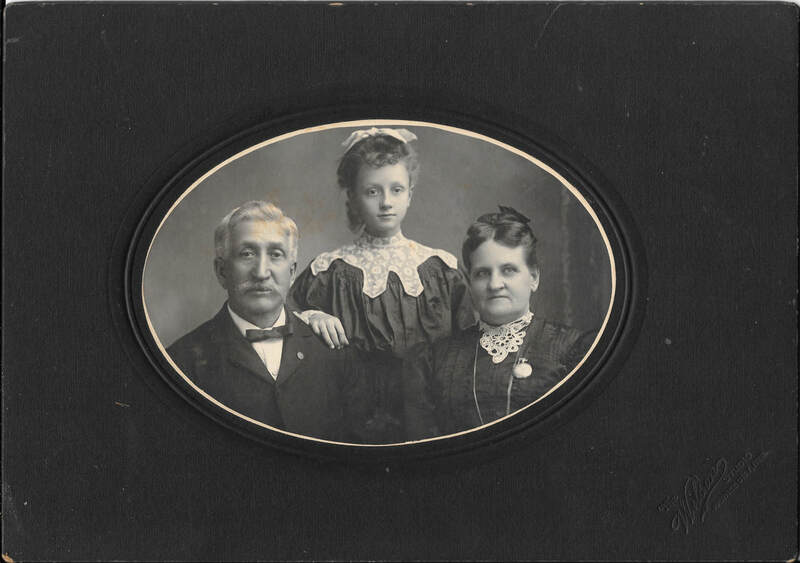 Finally, FindaGrave provides the following family links: Spouse Julia Avery Gold (1854-1935) and children Peter Gold (1872-3), Elizabeth Gold (1872-3), and Henry Gold (1873-1937). Peter & Julia Gold with Goldie, who they raised as their own. Photo 2921. Julia & Peter Gold, children unidentified. Photo 2918. Julia Gold with grandson Howard Binder in the buggy. Photo 2923. 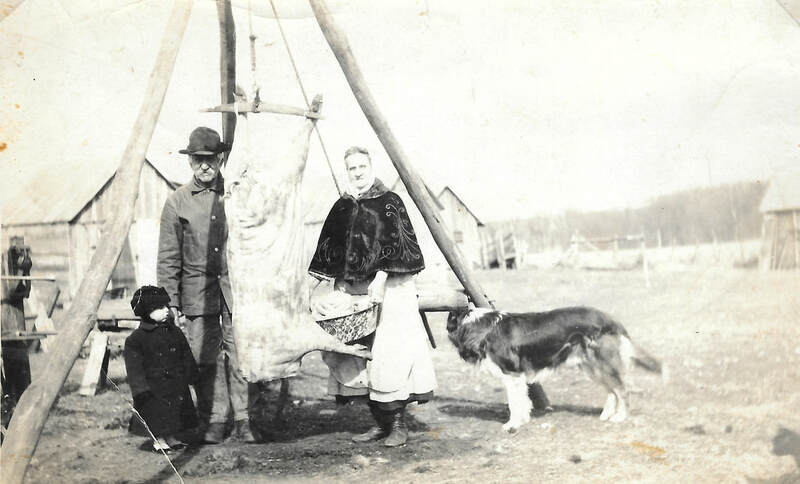 Peter & Julia Gold butchering, with grandson Howard Binder. Photo 2924. Peter & Julia with family. Photo 2928. Peter & Julia Gold with family. Photo 2925. Photo 2927. Julia Gold with family. 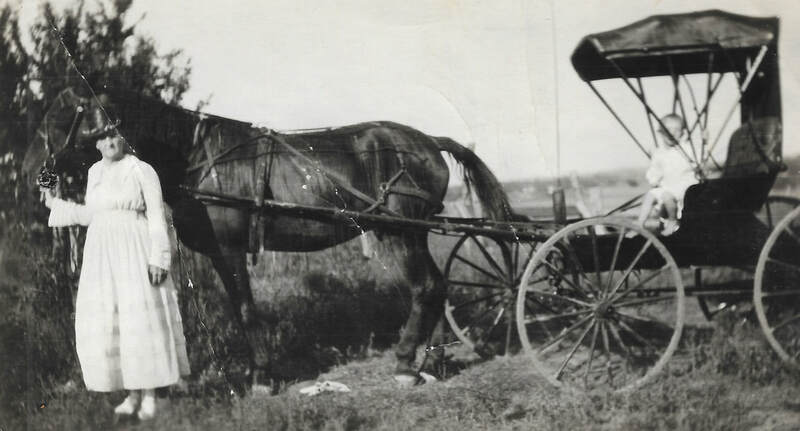 This must have been taken at some time after Peter died in 1927.